Communications minister Clare Curran is calling for expressions of interest for the new role of chief technology officer to help drive New Zealand's digital agenda. Curran said the position was critical to ensuring New Zealand can use and develop digital technologies for social prosperity, economic productivity and for the good of all New Zealanders. In a Cabinet paper released today, Curran outlined the options for the role and her favoured approach: a broad brief to allow the future CTO to develop an "energetic and impactful approach". "It will be a challenge to find an individual who has the profile, expertise, and skill in multiple stakeholder engagement that will be needed to make a success of the role," she said in the paper. The CTO will be accountable to both the Prime Minister and to the Minister for Broadcasting, Communications and Digital Media and Government Digital Services and will also provide independent expert advice to ministers and senior leaders on digital issues. “The chief technology officer role would suit someone who has a high level of expertise in the digital technology industry, who is passionate about the issues, who carries the influence needed to stimulate public discussion, and who wants to take action with government and other stakeholders to deliver and support meaningful change," Curran said. “The chief technology officer will be responsible for preparing and overseeing a national digital architecture, or roadmap, for the next five to ten years." “This government intends to close the digital divides by 2020, and to make ICT the second largest contributor to GDP by 2025," Curran said. "The internet and digital tools are fundamental to us achieving these goals." Curran said she sees the CTO working on issues such as improving digital equality, protecting citizens’ rights online, and building a connected nation, alongside the Digital Economy and Digital Inclusion Advisory Group and the other Advisory Groups she has signalled. 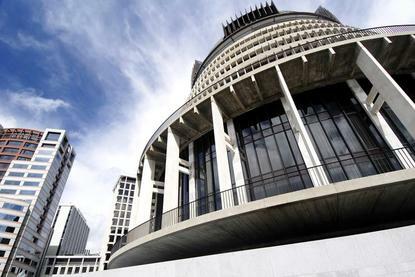 “Although the role sits within the government context, the chief technology officer will require a collaborative way of working across government, with ministers and officials, and with a range of other stakeholders to shape and drive New Zealand’s digital agenda,” Curran said.